With Mercury retrograde in your sign during most of March, you may have felt stuck, held back, or frustrated any time you tried to make progress. Well, Pisces, Mercury is moving forward once again! So you’re probably feeling better. With the Sun in “let’s go, go, GO!” Aries at the start of April, you may want to make up for all that time it seemed like you were wasting or that appeared to put you behind. But hold on just a little longer! From April 1 through 5, the Moon will be at the close of her monthly cycle as she moves through the balsamic Moon phase. That’s the quietest, most dreamy and mysterious of all the Moon’s many phases – and the best for meditation and introspection. 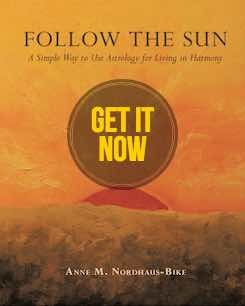 If you wait until the new Moon of April 5, you’ll find that things simply flow better, more to your liking, and you can more easily make any new beginnings you wish. With the Sun moving through Aries, it’s time for you to take charge of your finances. Mark your calendar for April 5 to get going on anything related to money, from documenting how much pay you actually take home and where it all goes to setting up a more realistic household budget that includes saving regularly. If you need help, interview money managers or accountants in the two weeks starting April 5. This month also can help you get ahead by figuring out how to earn more. Perhaps it’s time to ask for a raise or promotion, or you may decide to take a second job, start a job search, or change careers to something that taps your leadership skills. If you’re self-employed, take the initiative to get new leads and clients or cultivate more business with current connections. On April 20, the Sun leaves Aries for loving, peace minded Taurus. Your attention will shift from financial concerns to how you think, talk, write, and use body language. You can improve your skills with steady, patient effort and by finding a class or coach. If you want to write a novel, poetry, or other creative piece, use this time to get started or find a critique group. If you need to start making sales presentations or create a social media campaign, you can hone your abilities now, especially if you team with a colleague or mentor to guide you toward greater proficiency. Consistency will pay off, so focus on your goals every day and take some action (even something tiny) that pushes you ahead. This time also favors relationships with brothers and sisters. Call your sibs or invite them to your house to reminisce. If one of them lives out of state, organize a group trip to visit, as you’ll all have a good time and benefit from shared laughter and love. The full Moon on April 19 will be the second in a row in loving, equitable Libra. Use clues from that period to guide you this time. You may learn important news related to shared finances such as your spouse’s salary; insurance; child support or alimony; a loan, inheritance, or gift; or venture capital for your business. If you’re negotiating royalties or commission structures, you may see important developments that help protect your intellectual property. Pay attention to any information revealed during this time. 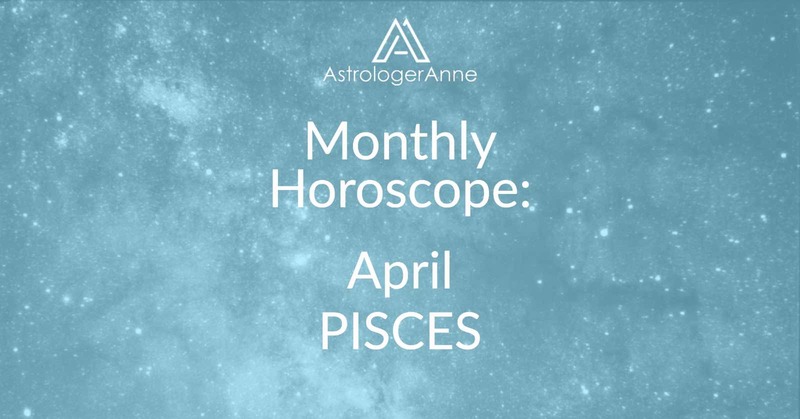 Have a happy April, Pisces! I wish you a wonderful month!